At Buildbase, you can complete the look of your stylish new bathroom suite with any of our elegant bathroom furniture sets. Our furniture solutions also include a variety of slimline bathroom furniture pieces, vital when you need to make the most of your space. 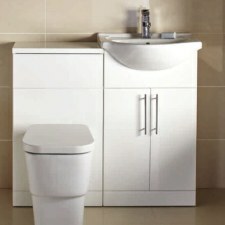 Our array of bathroom furniture is brought to you from leading manufacturers at great prices, available in a variety of space saving solutions and finishes. 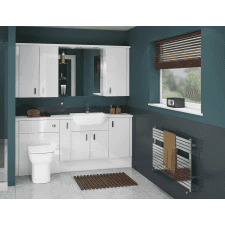 Whether you’re renovating an existing bathroom or installing a new ensuite, we can provide you with the perfect solution for any budget. Need help with your bathroom ideas? Book your FREE design, on-site or home survey consultation and let us give you all the help and advice you need to bring your project to life.